A startling number of cancer deaths in the United States have one thing in common: they’re linked to smoking. 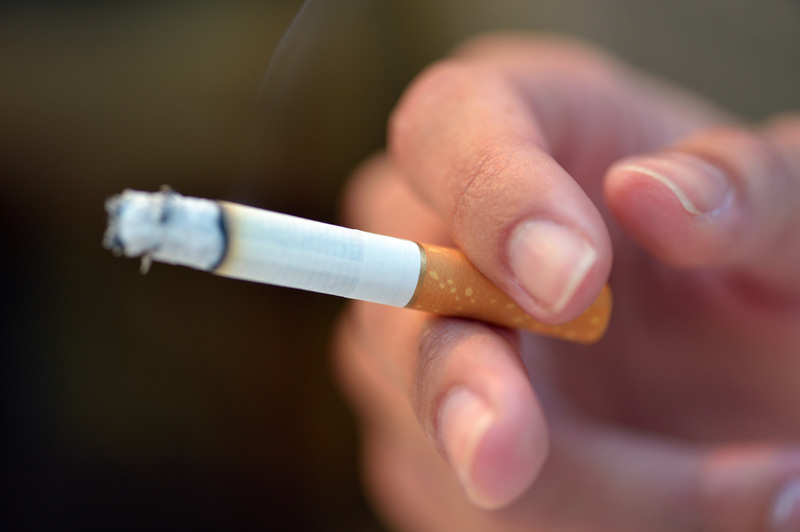 According to a new report published online today by JAMA Internal Medicine, more than 167,000 cancer deaths in the U.S. in 2014 — almost 29 percent — were attributable to cigarette smoking. For the study, researchers from the American Cancer Society analyzed state-specific statistics on smoking rates from a national database. They estimated of the number of cancer deaths attributable to cigarette smoking using relative risks for 12 types of cancer that can be related to smoking, including lung, pancreas, liver, and stomach cancers. The research also showed some striking regional differences. People living in the South, especially men, were disproportionately affected, with nearly 40 percent of male cancer deaths estimated to be connected to smoking in that region. Arkansas, Tennessee, Louisiana, Kentucky, and West Virginia had the highest estimated proportion of smoking-attributable cancer deaths in men. The proportion was lowest in Utah, at nearly 22 percent, while it hit about 30 percent or more in every other state. For women, the proportion ranged from 11 percent in Utah to 29 percent in Kentucky, and was at least 20 percent in every state except Utah, California, and Hawaii. They also note that the study likely underestimated tobacco-related cancer deaths because only 12 cancers were included. Overall, nine out of the top 10 worst states for smoking-attributable cancer deaths for men, and six of the top 10 states for women, were in the South. The researchers point out that this geographical trend can likely be explained by the South’s higher historic rate of smoking prevalence, compounded by cheaper cigarette prices and weaker tobacco control policies. They say the most effective tobacco control policies include restrictions on smoking in public places, higher excise taxes, regulations on tobacco sales promotions and minimum prices. Although the South is disproportionately affected, “the human costs of cigarette smoking are high in all states, regardless of ranking,” the authors say. The study also points out a number of specific steps that could help reduce the risk. “Increasing tobacco control funding, implementing innovative new strategies, and strengthening tobacco control policies and programs, federally and in all states and localities, might further increase smoking cessation, decrease initiation, and reduce the future burden of smoking-related cancers,” they write.